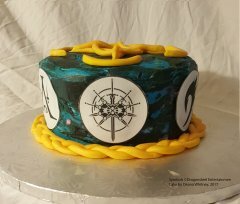 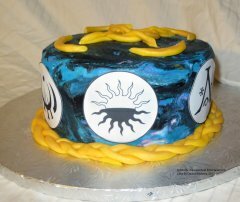 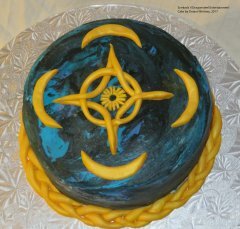 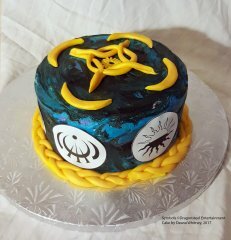 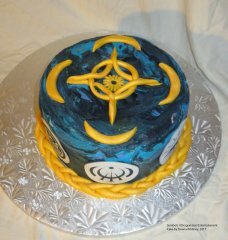 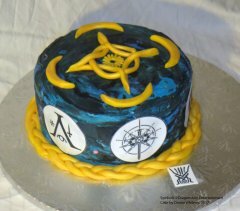 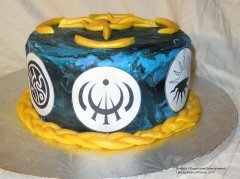 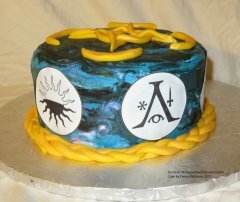 The solar system symbols were all printed on sugar sheet and applied to the icing. 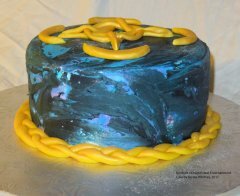 The gold elements are all fondant. Fan art comes in all styles. 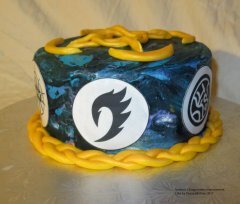 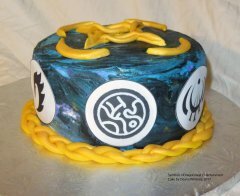 This is an edible example.